Yes, you read the title right. For the seventh time in the past decade (well, ten years and two months), a Spider-Man film is on the top of the weekend domestic box office charts. Sam Raimi’s “Spider-Man” stayed at number one for two weeks in 2002, and its sequels did the same in 2004 and 2007, respectively. Now, here in 2012, director Marc Webb’s “The Amazing Spider-Man” is on top once again after making $65 million this weekend and $140 million over the course of its six-day opening. “Spider-Man’s” $65 million debut weekend is the fifth largest opening of the year, behind only “The Avengers” ($207 million), “The Hunger Games” ($155 million), “The Lorax” ($70 million), and “Brave” ($66 million). 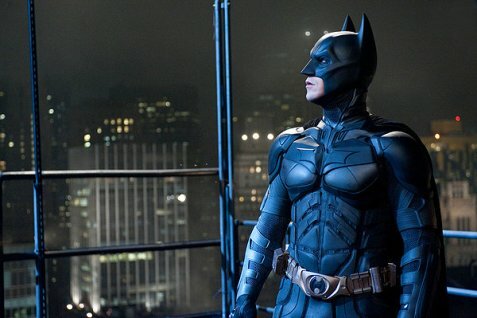 But “Spidey’s” $140 million did allow it to beat out the six-day gross of some other recent comic book reboots, namely “Batman Begins” and “X-Men: First Class,” which made $79.5 million and $69.9 million over their first six days, respectively. However, perhaps the best way to judge “The Amazing Spider-Man’s” success is to compare it to that of Sam Raimi’s trilogy. The reboot found itself right behind the first “Spider-Man’s” six day total of $144.2 million. However, “Spider-Man 2” grossed $180.1 million and “Spider-Man 3” $176.2 million, meaning the newest film actually made the least of any “Spidey” movie to date. 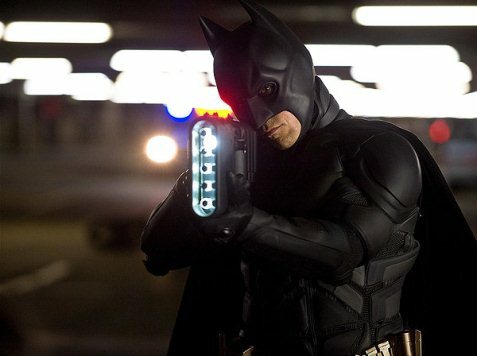 And while “The Amazing Spider-Man” beat out “Batman Begins” in terms of gross, Christopher Nolan’s film had the best six-day start of any Batman film at the time. Of course, “The Dark Knight” later upped the ante. After breaking “The Hangover’s” record for best debut by an original R-rated comedy (i.e. not counting “The Hangover Part II“) last weekend, Seth McFarlane’s “Ted,” remained strong, grossing $32.6 million in its second weekend. For comparison’s sake, “The Hangover” made just under $32.8 million in its second weekend, and “Ted’s” ten-day total of $120.2 million bests “The Hangover” over the same period. In its third weekend, “Brave” remained in third place with $20.162 million. The Pixar flick has now grossed $174.5 million to date, which means it’s all but assured to be the studio’s tenth movie to accumulate $200 million. Oliver Stone’s “Savages” came in fourth place with $16 million in its opening weekend, which isn’t all that bad considering its competition. Behind it, “Magic Mike,” “Madea’s Witness Protection,” and “Madagascar 3” slid into the fifth, sixth, and seventh spots with $15.6, $10.1, and $7.5 million, respectively. The weekend’s soft release was “Katy Perry: Part of Me,” which came in eighth place with $7.1 million. In ninth and tenth place we saw a couple strong showings from films teetering on the edge of the “specialty box office” label. Wes Anderson’s “Moonrise Kingdom” grossed $4.5 million from 884 theaters, while in its third week Woody Allen’s “To Rome with Love” added 777 theaters, giving it a total of 806 and making $3.5 million. Overall, it was a strong weekend at the box office. 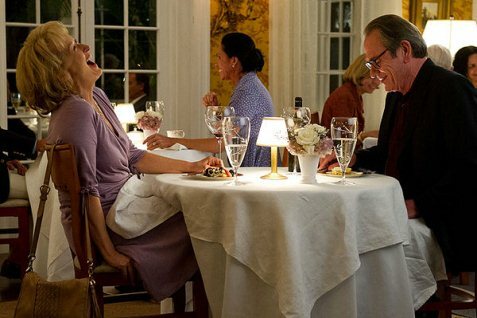 The nation’s top 12 films grossed $187.1 million, a 28 percent bump from this time last year. 1. The Amazing Spider-Man, 1/4,318, Sony, $65 million, $140 million. 2. Ted, 2/3,256, Universal, $32.593 million, $120.24 million. 3. Brave, 3/3,891, Buena Vista, $20.162 million, $174.519 million. 4. Savages, 1/2,628, Universal, $16.162 million. 5. Magic Mike, 2/3,120, Warner Bros., $15.61 million, $72.797 million. 6. Tyler Perry’s Madea’s Witness Protection, 2/2,161, $10.2 million, $45.846 million. 7. Madagascar 3, 5/2,861, Paramount/Dreamworks, $7.7 million, $196.02 million. 8. Katy Perry: Part of Me, 1/3,730, Paramount, $7.15 million. 9. Moonrise Kingdom, 7/884, Focus, $4.642 million, $26.893 million. 10. To Rome with Love, 3/806, SPC, $3.502 million, $5.621 million. Things are looking bright in Hollywood, and not just because of pre-holiday fireworks displays. Seth McFarlane’s “Ted” is sitting pretty on the top of the charts after grossing $54.1 million, which makes it the biggest weekend ever for an R-rated original comedy (it beat out “The Hangover’s” $44.98 million debut) as well as the eighth best R-rated debut ever. The film, which stars Mark Wahlberg, Mila Kunis, and McFarlane himself, is the “Family Guy” creator’s first foray into feature films (how ’bout that for for alliteration? ), and its success has many wondering why it took studios so long to give McFarlane a chance at the helm of a Hollywood project. But “Ted” wasn’t the only triumph at the box office, as numbers surged across the board. The weekend’s top 12 films raked in a combined total of approximately $197 million, the highest weekend total ever in the month of June. So how do we account for all this success? Well, two other new releases, Steven Soderbergh’s male stripper dramedy “Magic Mike” and Tyler Perry’s “Madea’s Witness Protection” had some relatively massive openings of their own, exceeding expectations and coming in second and fourth place with $39 million and $25 million, respectively. It shouldn’t be discounted that a good portion of the summer’s blockbusters have targeted younger audiences. Just look this weekend’s third and fifth place finishers, “Brave” and “Madagascar 3,” each debuted at number one. 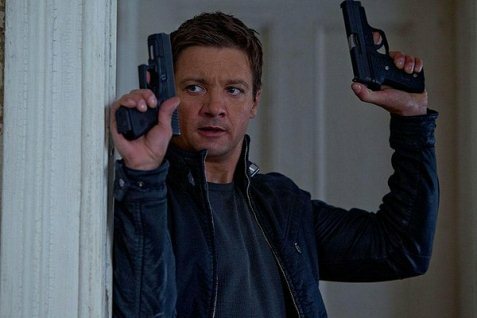 But after animated films have ruled the box office for three straight weeks, the simultaneously successful releases of the R-rated “Ted” and “Magic Mike” serve as a good reminder that adults go to the movies too, and not just to sit in the AC and keep the damn kids quiet for 90 minutes. I’m pleased to say “Abraham Lincoln: Vampire Hunter” endured a larger than usual 63 percent slide this weekend, falling to sixth place and grossing just $6 million. The film’s now grossed a cumulative total of $29 million, and likely won’t make it past the $40 million mark, well below its budget of $69 million. Hopefully, studios will learn to leave our great historical figures alone from now on, unless Daniel Day-Lewis is playing them (“Lincoln” is scheduled for release in the fourth quarter of 2012), or at the very least to leave vampires out of the picture. Meanwhile, Wes Anderson’s “Moonrise Kingdom” came back into view after falling out of the top ten last weekend. The film finally saw a nationwide release, adding another 459 theaters, giving it a total of 854, and came in seventh place with just under $5 million. The weekend’s soft release was “People Like Us,” a drama starring Chris Pine and Elizabeth Banks. Early estimates had the film in tenth place, but more recent reports show it falling into eleventh. “The Avengers” took its place, moving up to round out the top ten. It’s likely to be the last time we’ll see those particular superheros there, but comic book fans need not fear. 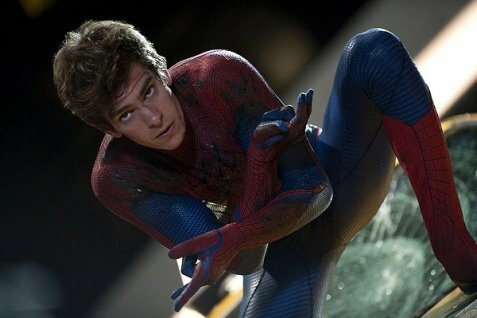 Peter Parker’s being rebooted, “The Amazing Spider-Man” comes out on July 3. 1. Ted, 1/3,239, Universal, $54.1 million. 2. Magic Mike, 1/2,930, Warner Bros., $39.155 million. 3. Brave, 2/4,164, Buena Vista, $34.011 million, $131.685 million. 4. Tyler Perry’s Madea’s Witness Protection, 1/2,161, $26.35 million. 5. Madagascar 3, 4/3,715, Paramount/Dreamworks, $11.815 million, $180.012 million. 6. Abraham Lincoln: Vampire Hunter, 2/3,109, $6 million, $29.034 million. 7. Moonrise Kingdom, 6/854, Focus, $4.926 million, $18.406 million. 8. Prometheus, 4/1,951, Fox, $4.921 million, $118.262 million. 9. Snow White and the Huntsman, 5/2,337, Universal, $4.498 million, $145.591 million. 10. The Avengers, 9/1,757, Disney/Marvel Studios, $4.421 million, $606.505 million.